When this photo was taken? 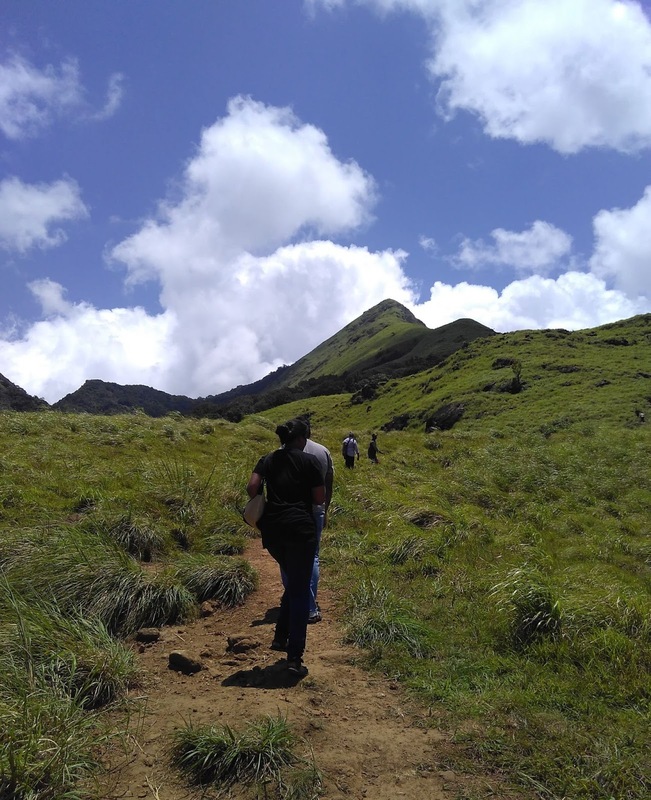 I took this photo during a trekking expedition to the Chembra peak of Wayanad. It was one of the most difficult treks I ever undertook. You can read a hilarious account of it on one of my posts. The mountain was very steep and I was not physically fit. Many a times I felt like giving up, but this pinnacle on the photo stood there, challenging me. I couldn't give up, even though my heart throbbed as if it is going to stop any moment. It was a year ago, still I look at this photo when I feel things are not going in my way. I say to myself. "I conquered that mountain and came down alive, is the situation at hand worse than that?" most of the times my answer is no. They say nature teach us a lot of things. I am not sure about the other things, but this mountain did teach me the value of perseverance. Even i have trekked to Chembra peak. It was really beautiful.